When I returned from travelling around the world, I took a crappy job fixing avionics on planes at Heathrow Airport. Ooooooooooh how I hated that job. I quit after about three months with no idea of what to do next. Eventually, I narrowed it down to one of five things. Six years in the navy had not cured me of my love of the sea. I applied for a job on a millionaire’s yacht based in Antibes. I rather liked tropical islands. I applied for a job fixing satellite tracking equipment on Ascension Island. I rather liked “abroad” in general. I applied for a course to learn to teach English as a foreign language (TEFL). I had a tiny twinge of regret that I had not been to university. I applied to Cambridge. I vaguely remembered that I had been good with computers as a lad. I applied for an adult education class in software engineering. I didn’t really have a strong preference and decided to accept the first offer that arrived in my letterbox. Software engineering came in first so software engineering it was. 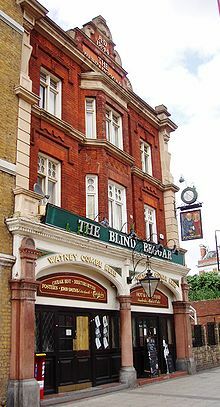 I headed up to the East End of London for a five month course. If you have ever been to Whitechapel, you will know that it is one of the poorest, crappiest parts of London and home to recent immigrants, gangsters and outcasts. Imagine a neighbourhood that has not changed one whit since Jack the Ripper’s reign of terror. That should help you picture the environs of my classroom. If you have ever been unemployed in England, you will know that there is a prevailing threat that your benefits will stop unless you attend an endless stream of adult education classes. That should help you picture my fellow students. Our instructor was a total nutcase. It was not clear that he had ever programmed a computer before but that didn’t stop him from having a sackful of forceful opinions about software engineering. Fortunately he only showed up for class about one day in four. My fellow students were delighted. There was a pub next door and I got pretty good at pool. Winner Stays On was the prevailing convention and one of the highlights of my life was racking up for the first game at 11AM and not leaving the table until the pub closed at 11PM after thrashing all-comers including several shady-looking characters as the evening hours wore on and the bar filled with gangsters. A few weeks into our course, the four of us who were not receiving unemployment benefits decided to complain about the lack of an instructor. The company that ran the course – fearing for their government funding – promised to find us a new teacher. 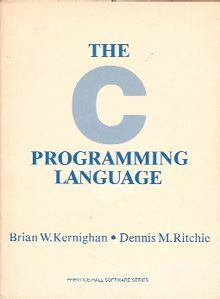 They gave us a copy of The C Programming Language by Kernighan and Ritchie to help pass the time while they searched for the new guy. I opened the book and, on the very first page, was the program that changed my life. Our new instructor eventually showed up and tried to teach us ADA but I wasn’t interested. I already had my White Book. I had my passport to a successful career in software. Two weeks later, I finished my first C program – an editor for sheet music that could playback the music you had typed in. Two months later, I had my first programming job [remind me to tell you about my first gig at Reuters]. Two years after that, I was managing a 12 person team building insurance software (Ultima is still on sale!). Two more years and I was working on Wall Street then, later still, Silicon Valley. The very day that I started my class, I received a letter from Antibes requesting that I fly down for an interview on that yacht but I’d already made my choice and I stuck with it. I wonder how my life would have been different if I had got on that plane? Thanks for code review Tom! Amazing coincidence: I just read this two minutes ago.